Zimbabweans in the Unites States of America will this Friday protest against the recent military crackdown on opposition supporters and civic society leaders calling on soldiers to return barracks and stop brutalizing citizens in suburbs of Harare and many other areas. The deployment of soldiers in Harare suburbs follows the Zimbabwe Congress of Trade Union (ZCTU) instigated stay away and shutdown that turned violent leaving a trail of destruction in most towns around the country. The stay away and shutdown were called following President Emmerson Mnangagwa announcement of a 150 percent fuel increase, which according to ZCTU worsened the plight of working people- already struggling against rising cost of living. Grouping under the banner of “Concerned Zimbabweans In the United States” Zimbabweans in Washington DC will invade the Embassy to register their displeasure over the response the country’s security forces took when it moved to quell protesters. 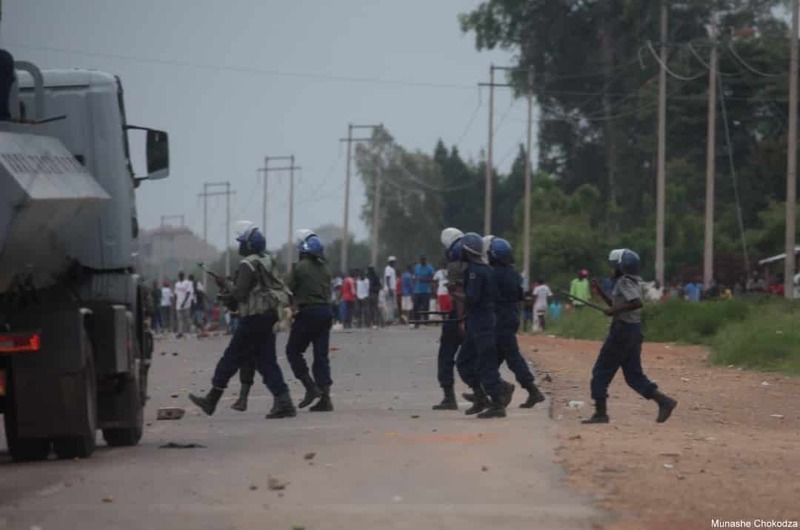 In a telephone interview today, Charles Mutama; the deputy organizer of the Friday demonstration told 263Chat said they are protesting military crackdown on civilians last week which left 12 people dead and scores of people injured. “The demonstration is a response to the events of the past week in Zimbabwe were the diaspora witnessed horrendous human rights violations perpetrated by the militias, army and the police against unarmed citizens who had heeded the call for a stay away by the ZCTU. “We demand that the army returns to the barracks and those responsible for violence which led to deaths and injuries are investigated and prosecuted. “We demand the release of Pastor Evan Mawarire, Honorable Chibaya, and all those detained incommunicado on allegations of causing violence. We demand national dialogue related to legitimacy issues, economic malaise, and peace and justice and all stakeholders should be involved such as the opposition MDC Alliance, civic society, and the antagonists, Zanu PF,” Mutama said. The Washington protest comes after Zimbabweans in United Kingdom and South Africa descended on the Zimbabwe embassies to protest against the current state of affairs in the country. The government has lately admitted to the positive economic contribution the diasporas bring to the country through remittances. Zim Violent Protests: Victim’s Family Gagged?